A burst pipe is every homeowner’s worst nightmare. The thought of waking up to gushing water, coming home from work only to discover a pool in the living room, or imagining a waterfall coming down the stairs sends chills right to the core of pretty much everyone. However, it’s a unfortunate fact that during the cold winter months, the water in your home’s pipes is in danger of freezing. A little ice in your pipes isn’t the biggest deal, but an entire blockage of ice is. After all, a burst pipe generally isn’t from the pressure of the actual ice, but rather great amount of water pressure that builds up as a result of the ice dam. Thankfully, there’s quite a lot homeowners can to do prevent burst pipes when the cold of winter strikes. These simple tricks can save you quite a headache. Pipes can only freeze when they get cold enough. For this reason, most plumbers only run plumbing lines in heated parts of the home. However, sometimes plumbers plan poorly or the home’s layout required an not-ideal setup. 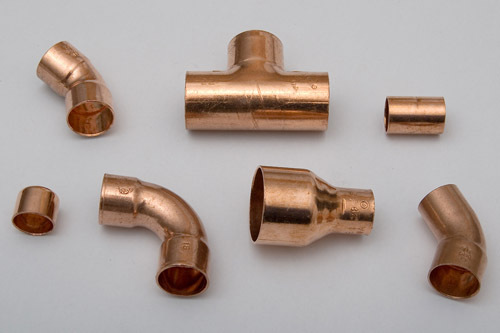 If you ever discover that there are pipes running in unheated parts of your home, a cold corner of a basement for instance, consult with a plumber if it’s possible to have the line moved. Experts recommend that pipes at risk of freezing be insulated. The higher R-value of the insulation, the better. After all, a thicker blanket keeps you warmer than a thinner one; this same principle applies to pipes. While you’re at it, check to see if there are any holes in your outside walls. Most homes have tiny holes in their walls to run lines for cable or satellite TV. However, the cold air that seeps in from these small points of weakness can freeze your pipes. That’s why it’s a good idea to caulk or seal these holes up. If you happen to know where an exposed plumbing line in your home runs to, consider leaving the faucet at the end of the line dripping. Yes, a dripping faucet wastes water and is generally to be avoided. However, the slow drip can be just enough to remove built up pressure from an ice dam. It’s standard for homeowners to turn off or lower the heat when they leave for the day or for a vacation. However, when the temperature drops below freezing, that heat is the only thing keeping the water in your pipes flowing. Again, it’s not an ideal energy saver, but don’t turn your heat down when it’s too cold outside. Generally, you’ll be safe if you leave the thermostat at a minimum of 68 degrees Fahrenheit. If it’s a particularly cold day, then set the heat accordingly higher. For an extended vacation, it might be a good idea for homeowners to drain the water from their pipes. This is a pretty simple process, but could be a little time consuming depending on the size of your home. However, it’s important to remember that water cannot freeze in your pipes if there’s no water there. The 10-30 minutes you’ll spend on this process will be well worth it if it prevents a burst pipe. Most homeowners and renters insurance policies will cover a burst pipe, but you’ll want to be sure of the policy’s limits. It might not cover personal items stored in a basement, it might have a high deductible, and it will probably require you to take steps to prevent a burst pipe. It also might be a good idea to also look into a home protection plan; this extra coverage could come in handy if the worst should happen. David Glenn is a home improvement expert. He occasionally freelance writes about real estate tips, home maintenance and DIY home repair. Thank you for these ideas. It’s usually a lot of work preparing for winter, especially when you are trying to fight the frequent freezing. I especially like the faucets dripping tactic. But don’t you think the total amount dripped may be significant? The dripped water may be significant, and could be re-used by placing a bucket under the faucet if need be. When viewed in comparison to the potential damage caused by a frozen pipe that bursts and floods, the dripping is definitely not significant. Drain cleaning allows your pipes to dispose of your wastewater quickly. The more efficient your waste plumbing, the less of a risk to cross-contamination issues, such as backflow. We do not want organic waste to begin to accumulate inside our piping, which can lead to blockages and piping damage. It is a really good idea to insulate your pipes. That would be a great way to help prevent them from getting frozen. Winter can be really rough on your plumbing. That’s why it is so important for you to prepare your pipes for winter as much as possible. By doing this you can really end up saving a lot of money in the long run.